Outline Products manufacturers a wide variety of concrete surface preparation tools and equipment. 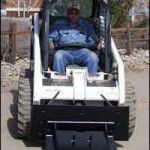 Specializing in riding floor scrapers propane or electric and attachments for skid steer machines, including scarifier, concrete grinding and grooving, concrete milling, floor scraping attachments and ceramic tile removal tools. Outline Products is a major manufacturer and direct sales of replacement floor scraper blades and the fabricator of specialty blades for removal of vinyl tile (VCT), asbestos tile (VAT), carpet blades, thicker heavy duty blades for epoxy or underlayment removal and ceramic tile blades. 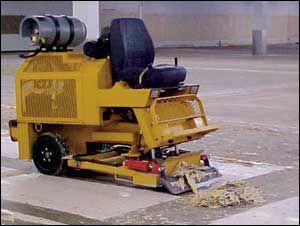 In 1996 Outline Products began building concrete surface preparation equipment for bare concrete and removal of existing surface coatings prior to re-coating. 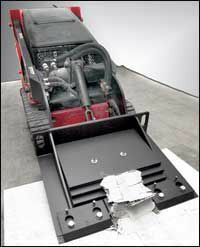 Equipment can range from high production commercial removal and preparation tools, to economical skid steer attachments for short term applications. All equipment is designed to prepare the concrete surface with minimal substrate damage. Coating removal with aggressive poly-crystalline diamond (PCD) cutters or carbide ceramic tile removers, to thin film grinding and scraping. Economic benefits of the Outline Products surface preparation tools include, on time job completion schedules, less man-power needed reducing payroll and Workman’s Compensation cost. Less personal injury with job site safety is increased over manual removal and preparation procedures. Outline Products concrete preparation equipment is engineered to greatly reduce operator fatigue, the ergonomical design keeps the operator alert and aware of the job at hand even after and 8-hour shift. Entry-level employees can become familiar and efficient with concrete surface preparation equipment rapidly. The tools are built for on-demand usage, allowing new operators to become comfortable with machine operation at their own pace. Maintenance of Outline Products equipment is very basic with the use of common mechanical tools and specific repair manuals. The use of hydraulic skid steer machines allows the operator to lift the attachment to a comfortable position for the maintenance to be performed.